With the latest update, users all around the world will be able to forward messages to five contacts at once. WhatsApp now globally restricting message forwards feature to five chats. The restriction was first implemented in July, 2018. Users globally could previously send messages to 20 people at once. 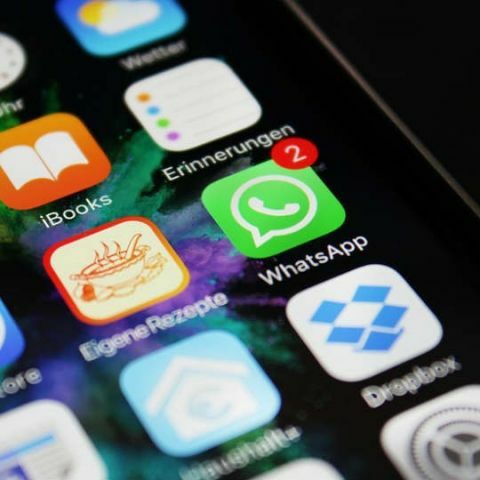 Back in July 2018, WhatsApp imposed a limit on the message forwarding feature so that users can only send messages, audio, images or video to a limited number of people. After implementing the feature, globally, users could forward messages to 20 contacts at once. However, In India, WhatsApp users were restricted to forwarding messages to five contacts. This was done to curb the spread of fake news on the online messaging platform and it might be working since the company has now decided to implement the restriction of forwarding messages to five chat globally. WhatsApp says that this will “continue help keep WhatsApp focused on private messaging with close contacts.” It also adds that since implementing the restriction, the company has listened to feedback over a period of six months and after that decided to roll out the feature globally. “WhatsApp carefully evaluated this test and listened to user feedback over a six-month period. The forward limit significantly reduced forwarded messages around the world. Starting today, all users on the latest versions of WhatsApp can now forward to only five chats at once, which will help keep WhatsApp focused on private messaging with close contacts. We'll continue to listen to user feedback about their experience, and over time, look for new ways of addressing viral content.” WhatsApp states, in a media release. This limit was initially announced because Facebook-owned WhatsApp had been struggling with the spread of fake news on its platform. It came under the Ministry of electronics and IT’s (MEITY) radar after a group of five people were lynched in Maharashtra because of a fake news message that was circulated on the app. This message forward limit and marking forwarded messages with a ‘Forwarded’ label were some of the first steps taken by the company to help curb fake news and enable users to understand if a sender themselves has written the message or forwarded it from somewhere else.